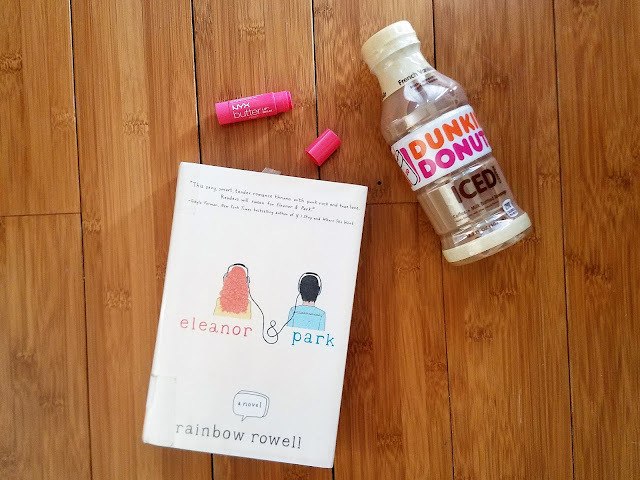 I am going to start reading eleanor & park by rainbow rowell. I am not sure if I am excited to read this or not, but considering how popular this book is I am hoping it's good. So I only like to drink Iced coffee if it's prepackaged. I know that weird, right!? This goes the same for cold brew coffee.This Dunkin Donuts French Vanilla Iced coffee was really good even if it is a bit on the light side, strength wise. So I know this is another balm but we are finally hitting color! This is a hot pink color that I think goes really well with my skin tone. I really do reccomend NYX butter lip balm if you want some color but also need to moisturize those dry lips.